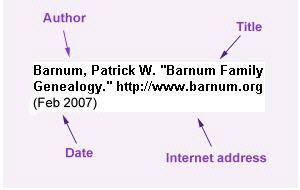 Census Records show that Ira Barnum was born in New York. However his obituary gives his place of birth as Salisbury, Connecticut. After his first wife died, Ira married Mrs. Emeline Whitney at West Carthage, New York on November 21, 1883. (Lewis County Democrat, November 25, 1883). $3,150 and his personal estate at $1,046. From the Carthage Republican, Carthage, NY, September 25, 1884: An old resident of West Carthage has passed away. Mr. Ira Barnum, who has been sick for nearly a year, being a great sufferer most of the time, died Sept. 15th. Mr. Barnum was born in Salisbury, Connecticut and came with his parents to Denmark when a little child, helped to clear up a farm and lived there until about thirteen years ago, when he moved to West Carthage where he lived until his death, excepting a few months after the death of his first wife he lived with his daughter, Mrs. George Hufcut in Denmark. His first wife died in March 1883. He married again about one year ago. He leaves a wife and three children, two sons and one daughter, one brother and one sister. His funeral was quite largely attended at his late residence in West Carthage last Wednesday, Rev. J.A. Prindle of Denmark officiating. His remains were interred in Hillside Cemetery at Denmark.